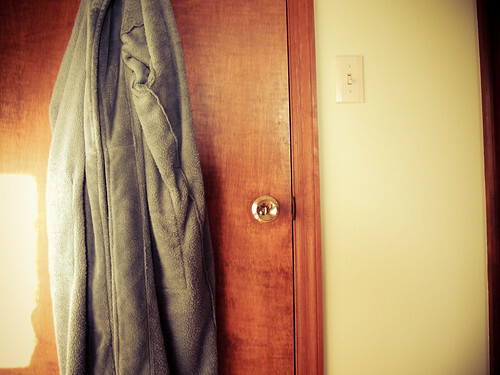 A few times in recent weeks I have stopped just shy of committing an almost unforgiveable act: leaving the apartment in my bathrobe. Thankfully I realized each time at just the last moment, and said to myself: I can’t go out in this. I’m in Paris. Now, let me explain a few points. Well, on Friday the French Senate voted to pass the pension reform bill that everyone’s been up and arms about (and in the street, and blocking petrol stations, and, and, and…). Unions are still calling for continued strikes and protests, anyway. In the spirit of returning to more naïve times, I’m posting a random metro video that has nothing to do with the metro lines not running properly. You may remember that I was incredibly tickled by subway shenanigans on the New York subway this summer – both a subway party I ran into and a Star Wars re-enactment. I opined that we’d be hard pressed to see such similar quirkiness in Paris. Well, a kind reader recently provided me with some footage of a little re-enactment right here on the Paris metro to prove me wrong. It’s a scene from “Les Bronzés font du ski,” a classic French comedy. While the music’s a bit cheesy and frankly, French comedy still leaves me scratching my head most times, you know I support just about any random activity undertaken in good fun. It’s no Star Wars re-enactment, but I still applaud the effort. (Warning: Video in French. But you know, it’s more about seeing people in full ski attire and accessories on the subway). More examples of Paris randomness I need to know about? Send it my way! Stumbling onto street art is one of my favorite parts about wandering Paris. 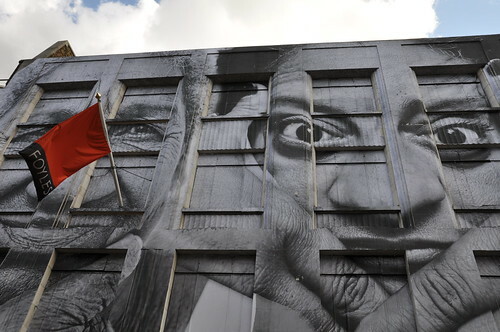 This week, a French street artist known only as “JR” won the $100,000 TED prize for his large-format portraits of every day people, often in some of the world’s most depressed areas. His work first came to light when he took photos of people in the banlieues. (Banlieues, the ‘suburbs,’ are nothing like the American conception of prim residential areas, but often home to poor communities). He posted these photos in Paris’ most bourgeois neighborhoods. In the video, he says that he doesn’t set out to change the world. And yet, his portraits have an impact, bringing people face to face – literally – with whom they might otherwise try to ignore. When I last left you with my continuing saga of foiled travel plans, I had not yet made it down to Aix-en-Provence due to a cancelled train. (Rule #1 during a strike: prepare to change original itinerary at a moment’s notice). Today I went to the post office to pick up my writing advisor’s latest critique on some manuscript pages. You can imagine my surprise when instead of returning with a large envelope, the postal worker emerged with a large box he could barely carry. Now, wish it were that I actually had a finished novel and this was a package containing several tens of copies of said book, but nay, I am far, far from such a day. “Um, that’s not for me,” I said. “Oh? But this is the number that corresponds to your delivery slip,” he said. Well, needless to say, it wasn’t. Only, this time, I wonder if it could have worked out in my favor. I noticed the package came from Spain, Espana, and something told me there might just be something very interesting inside. If only I weren’t a goody two-shoes, I might have fled with said box…. I am pleased as punch to feature my first interview with a real, live Paris author! Janet Skeslien Charles has lived in Paris since 1999. Her first novel, Moonlight in Odessa, was voted one of Publisher’s Weekly top 10 fiction debuts of Fall 2009. This year it won the Melissa Nathan Award for Comedy Romance. Just in time for the paperwork release of her novel, Janet agreed to an email interview with me. 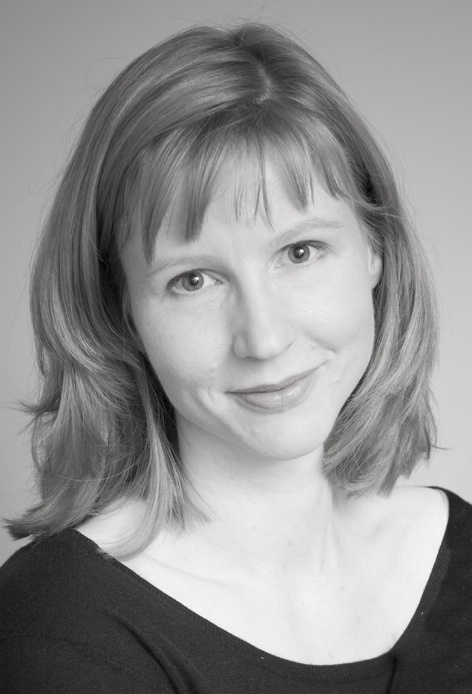 Seeing as she is also known as a great teacher – having taught writing workshops at Shakespeare & Co for four years – I put in a few questions that I’m particularly interested in. You know, as someone who is, erm, kind of, sort of, maybe working on a novel of her own. Thanks, Janet, for answering my (idiosyncratic) questions! People have all sorts of romantic myths about being a writer in Paris. I actually find it incredibly difficult to write in Paris. How does living in Paris affect your writing? Not that we’re keeping track or anything, but tomorrow will be the fourth day of strikes/protest against French pension reform in a month’s time. On a personal note, it’s the second time in a month that my travel plans have been foiled because of it. (Ok, maybe I am keeping count). I do realize that the world doesn’t revolve around me, but really? What is up with my choosing departure days that ultimately mean I cannot depart? No, no, really. I don’t mind. 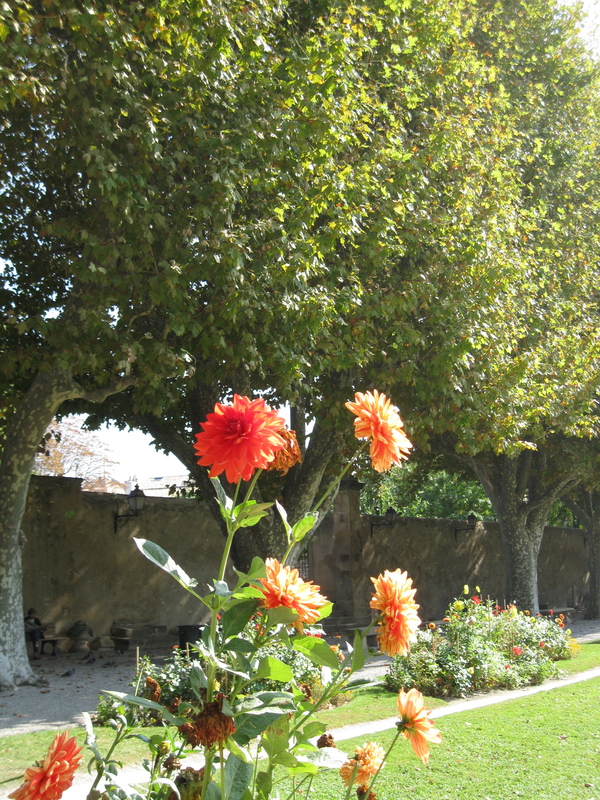 Aix-en-Provence? Who needs it? So my train has been cancelled for tomorrow. On the upside, at least I already know about it. And I have options! I was on an iDTGV, which is supposed to be like the younger, cooler version of the TGV. (You know, like there are DJ’s or something – even speed dating on some routes! I’m kind of not kidding, either). Anyway, I’ll give them props for letting me know ahead of time – and for making sure I don’t need to lift a finger to get reimbursed. It’s automatic. Ok, this I will applaud. There are other trains running that day and I’m allowed to try to get on any of them for free either Tuesday or Wednesday. Honestly, folks, I don’t really feel much like trying to make my way to the train station on a strike day and “hoping” I can board another one. 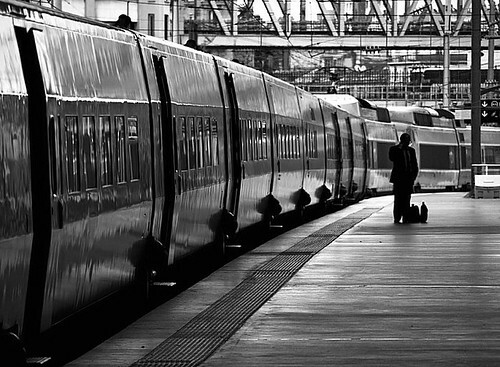 Or waiting around said train station if one is full and hope for the next. Or waking up at 5 AM to catch the early train that no one else wants to catch. I think I will just wait until Wednesday – or just go some other time. It’s an easy trip (um, when there’s not a strike, that is). Plus, I should not admit this, but here goes: I have an electrician coming tomorrow now and I’m waiting for some important documents in the mail, so it kind of works out. Yes, I’m choosing domestic drudgery and a postal delivery over Aix-en-Provence. This is what it has come to. I do feel much better that I am returning to the original spirit of this blog, though. This is my glam life in Paris, folks. Jealous yet?